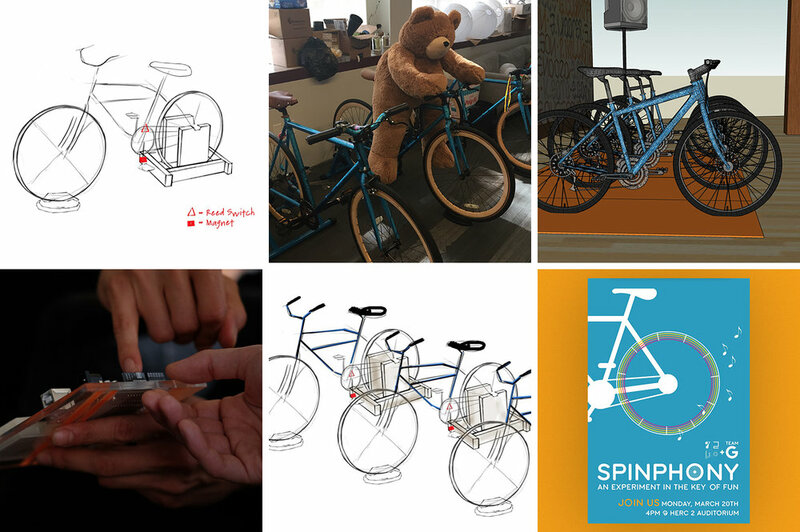 Spinphony is a musical bike installation created in collaboration with 72andSunny’s Google team and their Made with Code initiative. As 72U participants, we were briefed with the task of inspiring and encouraging teenage girls to take an interest in coding. The installation assigns each bike a specific instrumental stem of a song that, when pedaled, contributes to the full track.